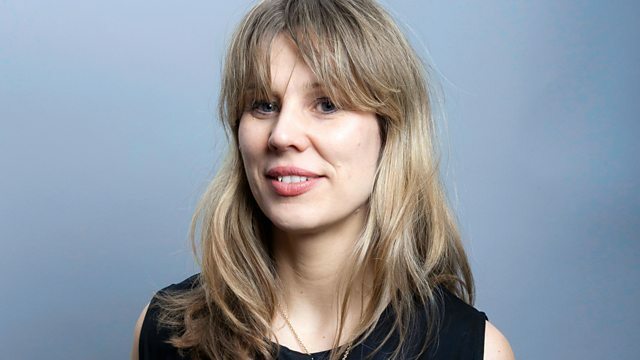 Anne Hilde Neset plays Charlotte Moorman, Gudrun Gut & Joachim Irmler and vintage Calypso classics from Trinidad. Performer: Steffen Lindemer. Performer: Andi Toma. Performer: Marcus Otto Schumacher. Performer: Bo Lange. Performer: Niobe. Seven Skeletons Found In The Yard : Trinidad Calypsos 1928-1947. Performer: Julia Holter. Composer: Hal David. Don't Make Me Over/Hello Stranger 7" Single. Performer: Victor Lewis. Performer: Chief Bey. Performer: Pharoah Sanders. Performer: Neil Clark. Performer: Alex Blake. Performer: Randy Weston. Performer: Benny Powell. Performer: Adam Coney. Performer: Harry Broadbent. The Fall of the Flamingo Gardens. Performer: Bill Halverson. Performer: Stephen Stills. Performer: Mari Yoshinaga. Performer: David Starobin. Paul Lansky: Notes to Self. Disco Not Disco: Post Punk, Electro & Leftfield Disco Classics - 1974-1986. Performer: Torben Ulrich. Performer: Søren Kjærgaard. Alphabet, Peaceful, Diminished: 29 Proposals from the Towers of Babble. Performer: Kode9. Performer: Inga Copeland. Performer: Concerto Caledonia. Performer: Thomas Walker. Captain Tobias Hume: A Scottish Soldier. Performer: Gudrun Gut. Performer: Joachim Irmler. Performer: Pedro Pinhal. Performer: Luis Pontes. Performer: Eurico Machado. Performer: Miguel Noronha. Performer: Rodrigo Serrao. Performer: Cuca Roseta. Performer: Dean Blunt. Performer: Inga Copeland.